Professional Supplement Center offers many high quality dietary supplement brands that manufacture their products in accordance with current Good Manufacturing Practices (cGMPs). For our customers this means they can have confidence that these dietary supplements have been manufactured to ensure identity, purity, strength, and composition, as well as accurate label claims. Dietary supplement manufacturing guidelines are intended to ensure a quality finished product by establishing a comprehensive system of procedural controls. These formal procedures, established and enforced by the US Food and Drug Administration (FDA), not only assure the proper design, monitoring, and control of manufacturing facilities, but also provide for thorough documentation at each stage of the manufacturing process. Authorized by the Dietary Supplements Health and Education Act (DSHEA), these uniform practices are the gold standard employed throughout every step in manufacturing, packaging, labeling and storing of dietary supplements. Supplement manufacturers who conform to FDA unified standards also establish strong quality management systems and operating procedures, obtain appropriate quality raw materials, detect and investigate product quality deviations, and maintain reliable testing laboratories. Dietary supplement marketing, manufacturing, labeling, and advertising are all covered by regulations enforced by FDA and the Federal Trade Commission. Dietary supplements in the form of tablets, capsules, soft gels, gel caps, liquids or powders are regulated products simply defined by DSHEA as “a product taken orally that contains a dietary ingredient intended to supplement the daily diet.” As such, the FDA regulates the types of ingredients allowed in supplements. These ingredients include vitamins, minerals, herbs, botanicals, amino acids; and other substances such as enzymes, extracts, probiotics, or concentrates. FDA also has detailed requirements for the labeling of dietary supplements, including nutrition facts, allergen statement, identity verification, and net quantity validation, among others. A dietary supplement manufacturer must ensure that the Supplement Facts label and ingredient list for each product is accurate, that the dietary ingredients are safe, and that the content matches the amount declared on the label up until the expiration date. As some bioactive ingredients in dietary supplements, such as vitamins, can naturally lose activity and or potency over time, dietary supplement manufacturers may increase the amount of the ingredient at the time of manufacturing to maintain compliance and high quality standards. Process controls for dietary supplement manufacture include establishing and meeting specifications to verify that the finished dietary supplement contains the correct ingredient, purity, strength, and composition intended in accordance with established specifications. Established specifications assure that the characteristics or attributes desired in the final product will be consistently, uniformly, and reliably achieved. With effective process control, quality is built into the product throughout the entire production process, including testing to preclude the presence of any compounds that may otherwise adulterate the product. Manufacturing facilities are inspected by highly trained FDA staff to attain full compliance with cGMP regulations. To ensure quality products, many industry leaders have established their own supplementary manufacturing standards, exceeding those required by cGMPs. These can include licensing as a pharmaceutical manufacturing facility, additional testing of raw materials and finished products, establishing allergen-free facilities and obtaining additional certifications, such as Quality Assurance International Organic, Non-GMO Product Verified, and NSF Certified for Sport certifications. The word “current” signifies continual improvement; it testifies that companies employ up-to-date technology and systems to provide flexibility toward innovation and modernization for higher quality. In addition, many quality suppliers who are leaders in nutritional research and product development work closely with healthcare professionals to provide effective nutritional solutions. They are dedicated to providing science-based supplements of superior quality and integrity with the highest degree of safety. Our top-of-the-line manufacturers are committed to supporting and improving health, and are recognized for their excellence in purity, consistency, legitimacy and quality in manufacturing. Many of the high quality product lines we carry at Professional Supplement Center follow dietary supplement Current Good Manufacturing Processes, commonly called cGMPs. These rigorous manufacturing rules and processes are the main regulatory standards enforced by the U.S. Food and Drug Administration (FDA) to ensure quality, safety and efficacy in manufacturing. Nutraceutical and quality supplement providers that adhere to cGMPs guidelines follow stringent regulations, similar to pharmaceutical and food manufacturing standards. By requiring manufacturers to adequately control all manufacturing operations, adherence to cGMPs regulations assures the identity, strength, composition and purity of all products. Compliance to these regulations means a company has established strong quality management systems, obtains appropriate quality raw materials, has sound operating procedures, maintains reliable testing laboratories and adheres to packaging and labeling standards. 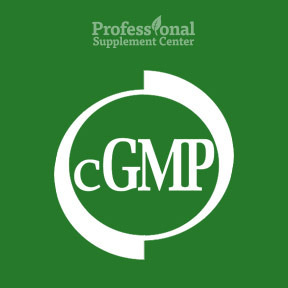 The cGMPs help to ensure that manufacturers consistently produce unadulterated and properly labeled dietary supplements. Manufacturing facilities are inspected by highly trained FDA staff to ensure full compliance with cGMP regulations. To ensure quality products, many industry leaders have established their own supplementary manufacturing standards, exceeding those required by cGMPs. These can include licensing as a pharmaceutical manufacturing facility, additional testing of raw materials and finished products, establishing allergen-free facilities and obtaining additional certifications, such as Quality Assurance International Organic and Non-GMO Product Verified certifications. The word “current” is included to ensure companies use technology and systems that are up-to-date and allows companies the flexibility to innovate and modernize to achieve higher quality through continual improvement. 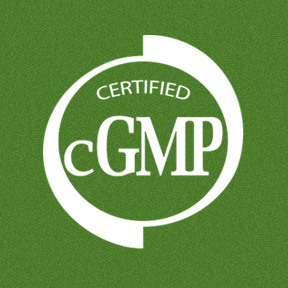 Adherence to cGMPs ensures supplements meet quality standards, are free from contamination and are adequately labeled. For our customers this means they can have confidence that these dietary supplements have been manufactured to ensure identity, purity, strength, composition and accurate label claims. In addition, our quality suppliers work closely with healthcare professionals to provide effective nutritional solutions and are leaders in nutritional research, product development and innovation. They are dedicated to providing science-based supplements of superior quality and integrity with the highest degree of safety. Our top-of-the-line manufacturers are committed to improving health and are recognized for their excellence in purity, consistency, legitimacy and quality in manufacturing.